A classic Mariposa string of pearls will surround this photograph. 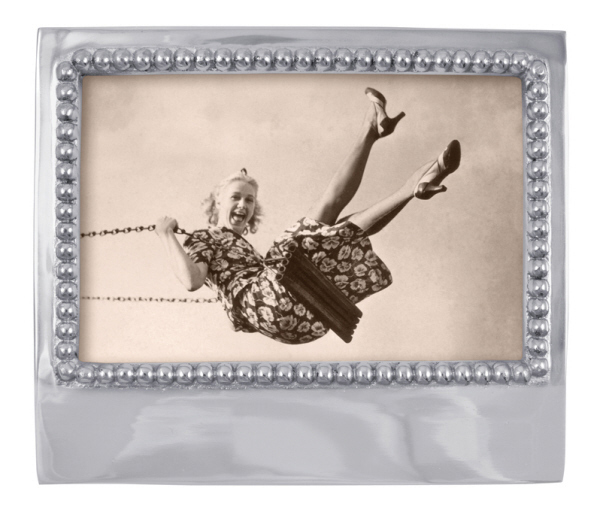 As for the frame, keep it blank or get it inscribed with a special phrase or date! Designed by Michael Updike. Handmade in Mexico of recycled sandcast aluminum. Dimensions: 6.75" L x 5.75" W. Opening size: 4" x 6". Request an inscription if desired.